We take our teaching and martial arts seriously, but we deem looking after your children of utmost importance. 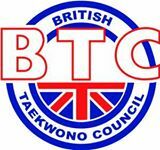 This is why all of our regular instructors are registered with the British Taekwon-do Council Ltd (BTC), which is recognised by UK Sport and Home County Sports Councils as the National Governing Body for Taekwondo in the UK. With this registration our instructors are insured, trained and dbs checked, as well as obliged to follow the NGB policies. If you have any interest or queries on any safeguarding issues please get in touch. Please find a link to the BTC website with access to all the relevant Health and Safety and Safeguarding Policies. We would also be happy for you to query our instructors or ask for their uptodate documentation. This will go some way in assuring yourself of our authenticity and care but it also helps to keep us all on our toes.